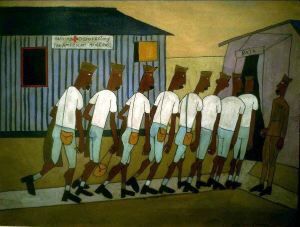 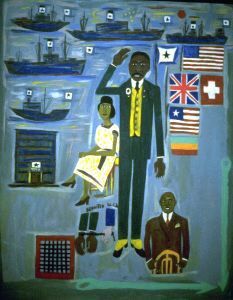 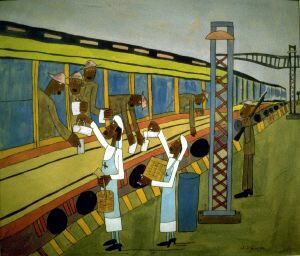 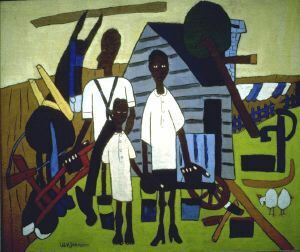 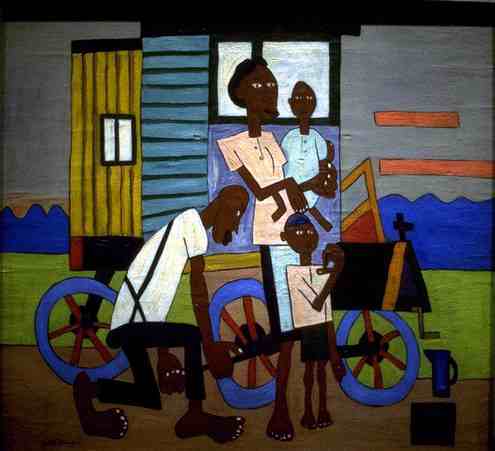 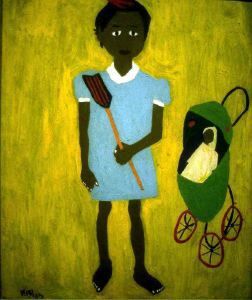 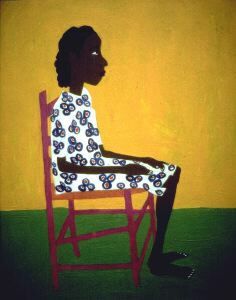 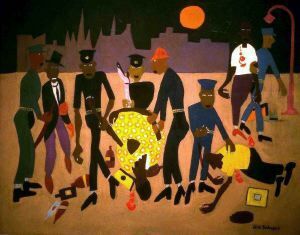 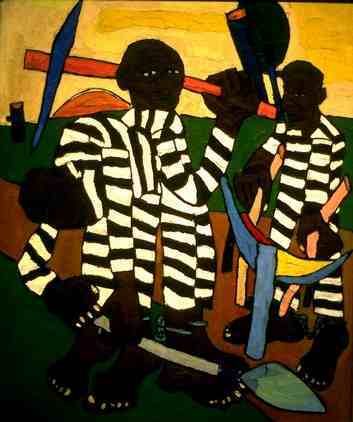 William H. Johnson was born into a working-class black family in Florence, South Carolina. 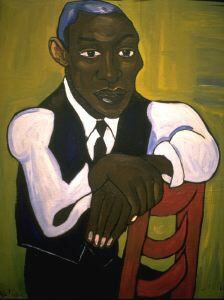 He moved to New York City at the age of seventeen and lived there with his uncle. 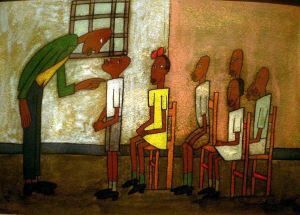 He was educated in the academic and formal traditions of art at the National Academy of Design, which he entered at the age of twenty. 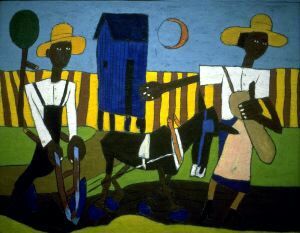 In 1926, Johnson went to Paris, where he not only painted but also began his studies of modernist art. 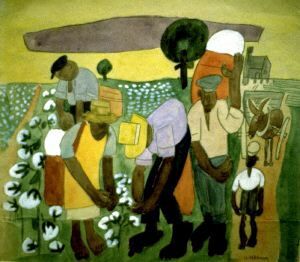 He soon moved to the south of France, where he began rapidly developing his own style, a realist-Impressionism strongly influenced by Van Gogh and Cezanne. 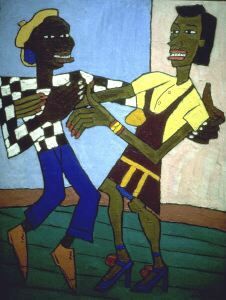 One of the most powerful influences on Johnson during that period was the work of Soutine, with its use of distorted forms to express emotion and mood. 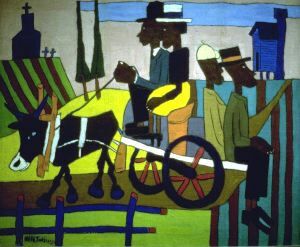 In 1930 Johnson married a Danish textile artist and moved to Kerteminde, Denmark, a small fishing village, where he worked productively. 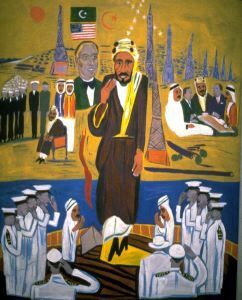 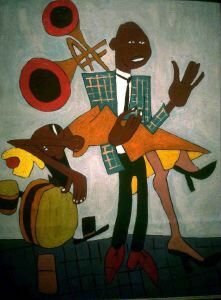 He and his wife also traveled throughout Norway and North Africa, studying traditional crafts and art in both cultures. 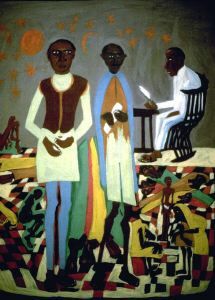 Those travels strongly influenced Johnson's later style: he found in indigenous works an expressive boldness and naivetй of form upon the qualities of which he would base so much of his mature works. 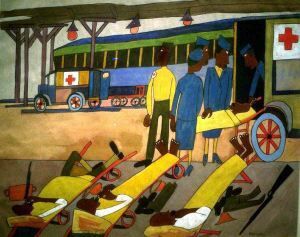 In 1933, with the gathering threat of war in Europe, Johnson returned to New York and encountered another important influence: the intensity and excitement of life in Harlem. 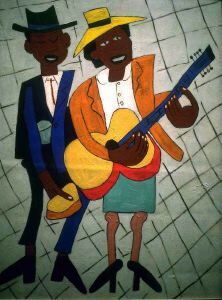 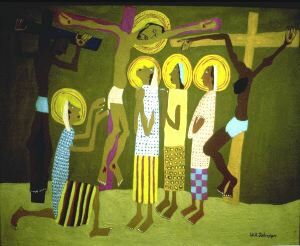 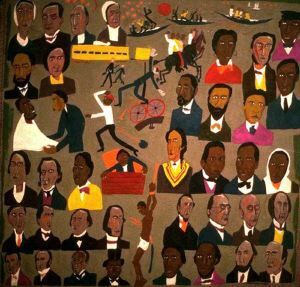 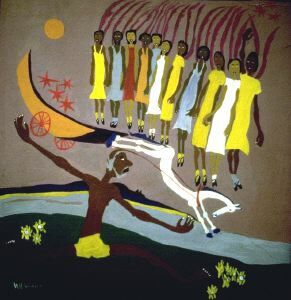 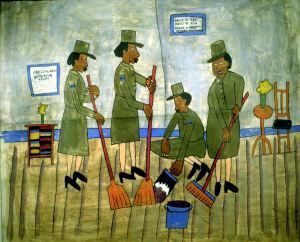 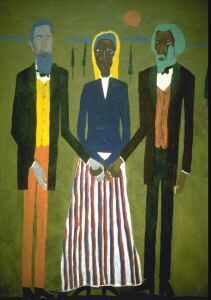 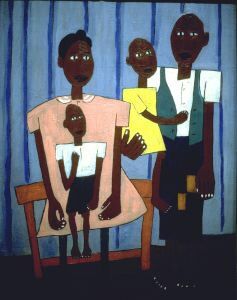 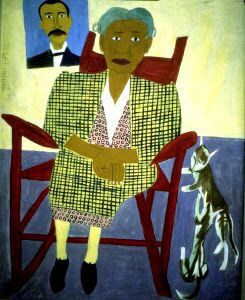 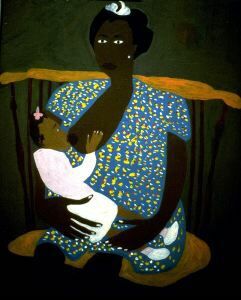 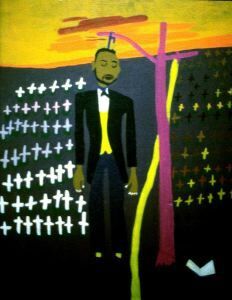 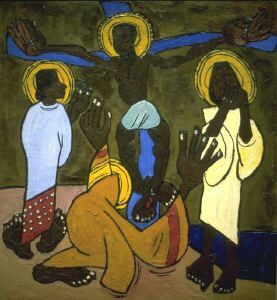 It was in the late 1930's and 1940's, bringing together his interests in modernism, primitive art, and African-American life, that Johnson found a mature style. 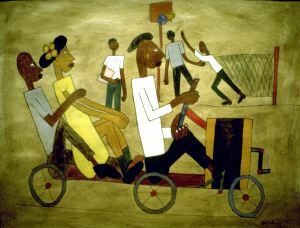 His best paintings characteristically place flattened figures, in a limited and high-keyed palette, on abstracted ground, depicting scenes of daily life with great personality and intensity. 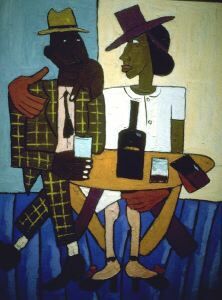 "Cafй" (1939-1940), for example, depicts a nattily dressed Harlem couple, showing Johnson's interest in a favorite modernist subject: cafe life. 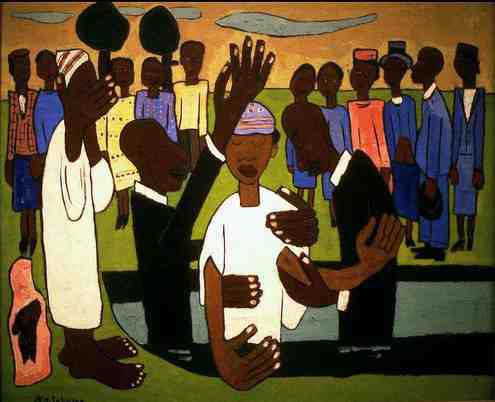 The strikingly colored "Going to Church" (1940-41) reverts to the rural settings of Johnson's childhood.